It is imperative that the bid is made correctly this time to avoid a further delay of the project. This is due to the fact that the previous bid contained a major flaw. 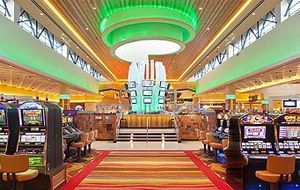 The Baltimore City slots casino must be built on property belonging to the city following legislation laid down in 2007. The legislation bill is specific to Baltimore city, whereas in other jurisdictions it is allowed for casinos to be built on private property in certain given areas, however not within the city limits of Baltimore. The reason for this legislation is to attract further revenue to the city through the casino activity that will be generated. It is imperative though that the city of Baltimore must attract bidders by offering them acceptable terms. Failing the success of this project and bid, the city of Baltimore may find itself losing many millions of dollars in potential tax revenue that could be generated by the operation of the Baltimore City Slots Casino should the present delay in commencement result in further time being lost. As lon as online casino remains prohibited in the state there are many tax dollars to be made in such a project. Following the collapse of the first bidding process, complaints had been raised about the lack of information regarding the availability of property on Russell Street in Baltimore city that had been conditionally attributed to the Baltimore City Entertainment Group initially. This information had been withheld from other bidders. To their knowledge the only available property was a small parcel that is presently occupied by the Baltimore Animal Rescue Centre.